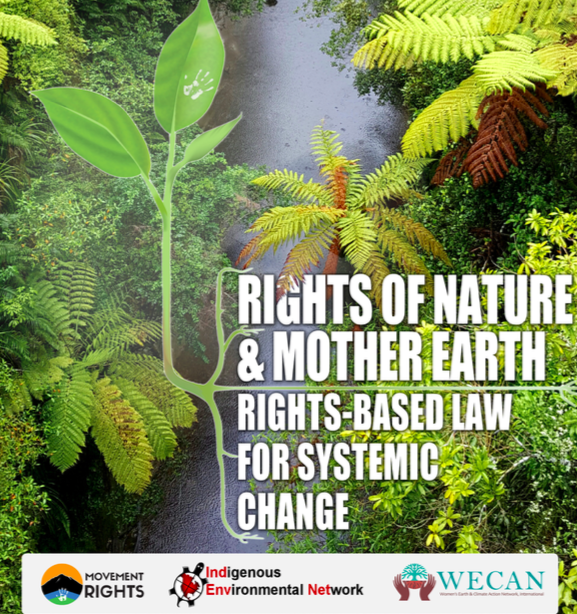 Movement Rights coproduced a report, Rights of Nature: Rights-Based Law for Systemic Change with our allies Womens Earth and Climate Action Network and the Indigenous Environmental Network as part of our activities in Bonn, Germany for the UN Climate negotiations. 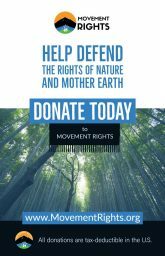 The report is available for free download and has contributions from a dozen rights of nature global leaders. 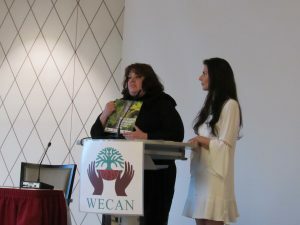 Movement Rights’ Shannon Biggs and WECAN’s Osprey Orielle Lake introducing the report in Bonn at a WECAN event. 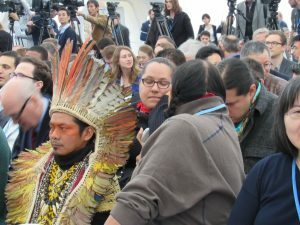 BONN, Germany – Concluding the first week of COP 23 climate negotiations, it is clear that many civil society groups, scientists and economists believe the general UNFCCC climate framework will only serve to exacerbate chaotic climate conditions. 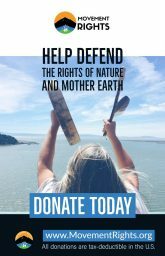 At the opening of the conference, COP 23 President and Prime Minister of Fiji Frank Bainimarama remarked, “The need for urgency is obvious. 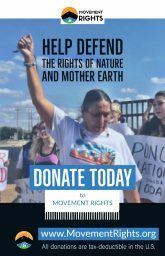 Our world is in distress from the extreme weather events caused by climate change – destructive hurricanes, fires, floods, droughts, melting ice, and changes to agriculture that threaten our food security.” These civil society groups argue that while the rhetoric of the negotiators is good, the actions will not serve the needs of climate-impacted communities. 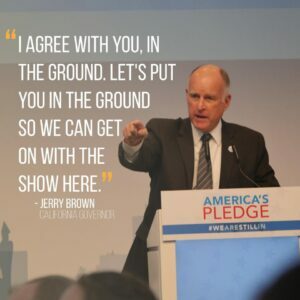 On 11 November, California Governor Jerry Brown took the stage at the America’s Pledge event, themed ‘We’re Still In’. “When cities and states combine together and then join with powerful corporations, that’s how we get stuff done,” said Governor Brown before his speech was disrupted by protestors who came to confront his support of fossil fuels and big business. 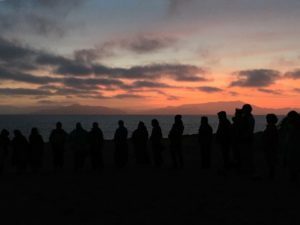 “Humanity needs Nature to survive,” said Ninawa Nuneshuni Kui, President of the Huni Kui People of Acre, Brazil following his participation of the protest. 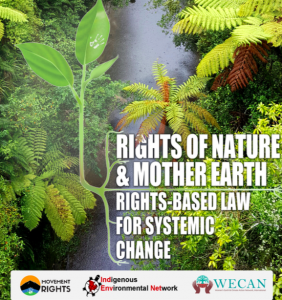 The report explores not just the idea of a shift toward recognizing rights of ecosystems but includes global examples from around the world where these new laws are taking root. 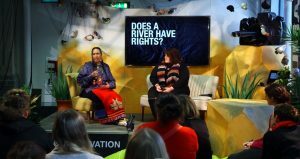 In the last year alone, New Zealand and India have recognized rivers as rights-bearing entities that now “own” themselves. They join the fast-growing list of 7 countries and dozens of local U.S. communities that are finding the only way forward to protect human communities is to shift our legal frameworks to align with natural law.